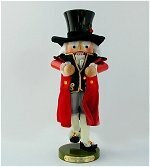 We are pleased to have a selection of the finest German nutcrackers available. 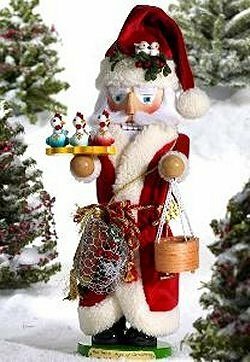 Here you will find wooden nutcrackers from Steinbach and Ulbricht that we feel will brighten your holidays. 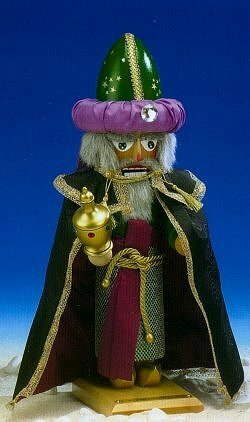 Mr. Fezziwig Steinbach Nutcracker is the ninth piece in the Dicken's Christmas Carol Series. Issued as a limited Edition of 7,500 pieces, and hand signed by Karla Steinbach. 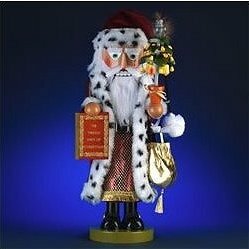 He stands approximately 16.5 inches tall. 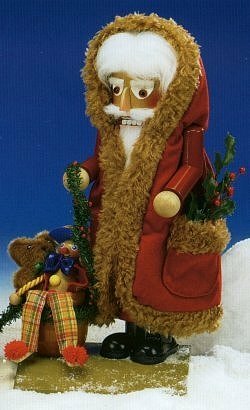 My favorite character from Dickens story the Christmas Carol ; he is a very fitting addition to ones festive holiday decor. He has become a mentor of sorts to myself as an employer with his good humour and care of his employees. Our world could use a lot more Fezzywigs. 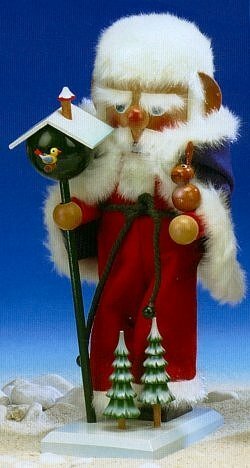 This Steinbach nutcracker features Santa. 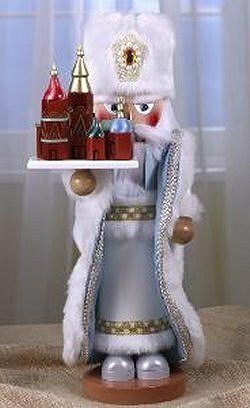 He has a soft white cape, a large stocking cap, and a huge bag full of toys. 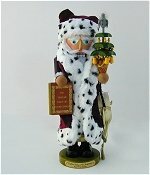 Music box plays "The Twelve Days of Christmas"
Partridge in a Pear Tree Santa Nutcracker imported from Germany. 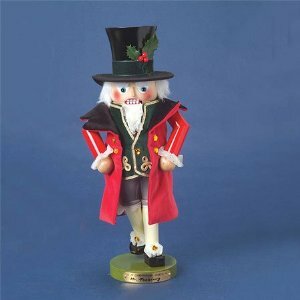 This very festive Steinbach Nutcracker stands @ 17.5inches high and was released in a limited edition of 7,500 Pieces. It is also musical and the tune is Partridge in a Pear . 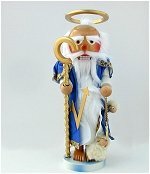 St. Peter is holding the keys to the gates of heaven in this beautiful nutcracker. 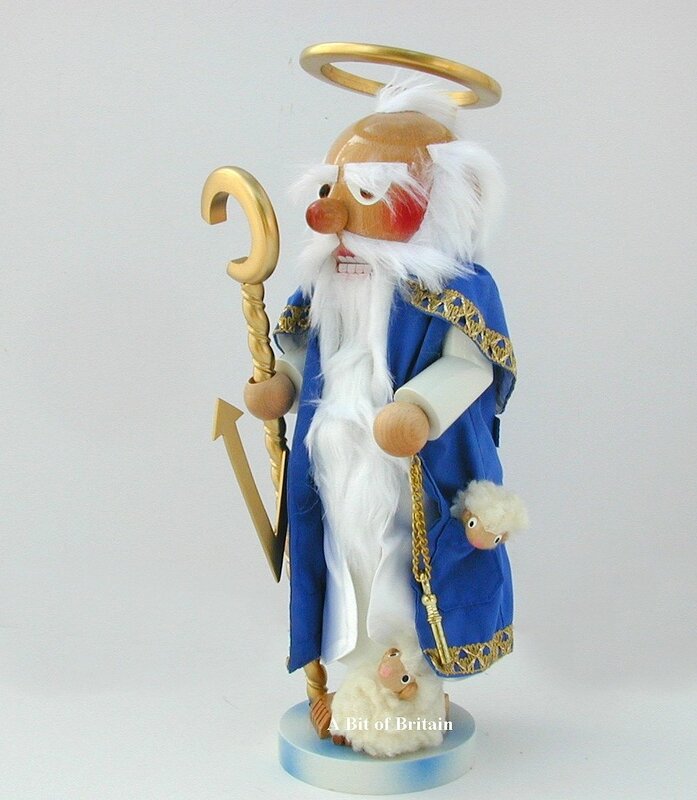 As the good shepherd you will also see he has a staff and two small sheep.